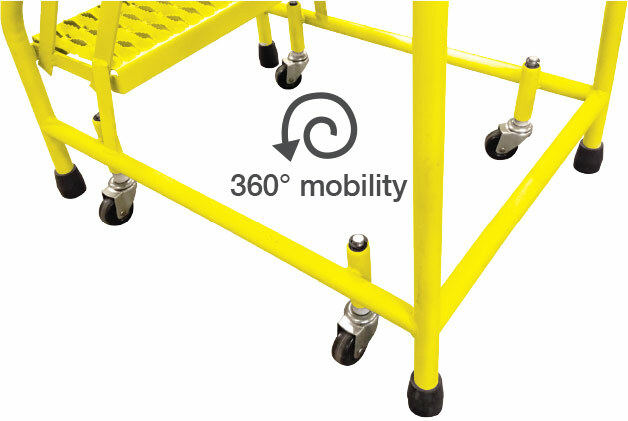 The “some assembly required” version of the 1200 series ladders. 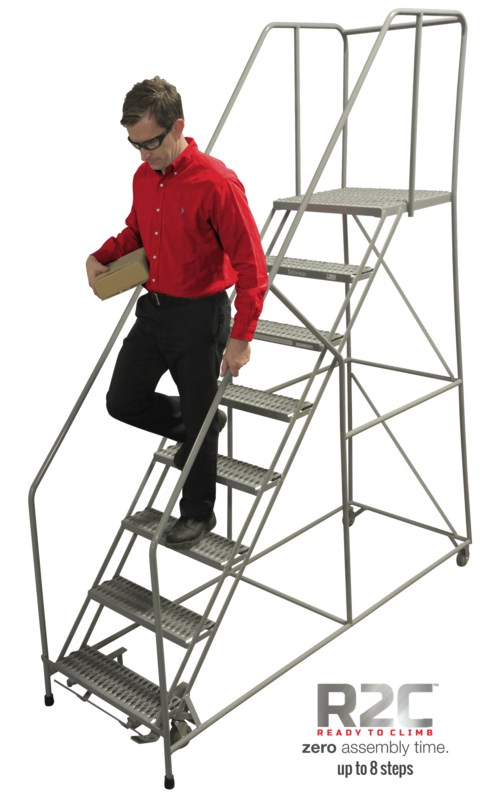 Built with the same quality construction, the SERIES 1700 offers a more gradual 50° climbing, allowing for forward descent. All tube members are 1″ steel tube construction. Steps are 7″ deep in your choice of tread. Top steps are 12″ or 24″ deep. 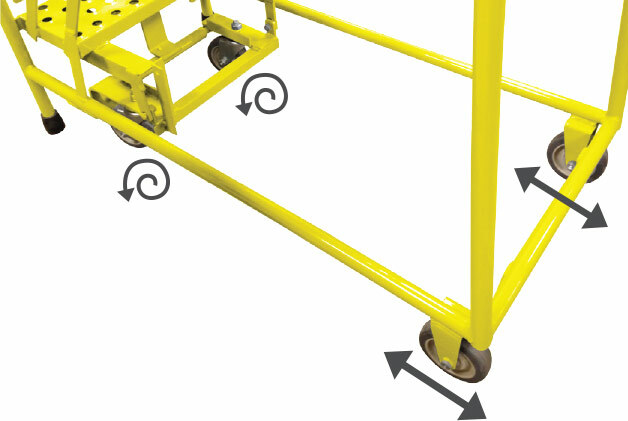 Spring-loaded 2″ casters are used on 3 & 4 step ladders. 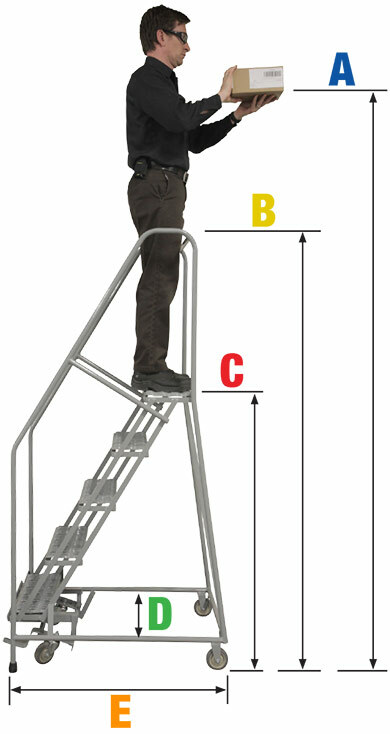 The Cotterman® SafeLock is used on 5 step ladders and above. 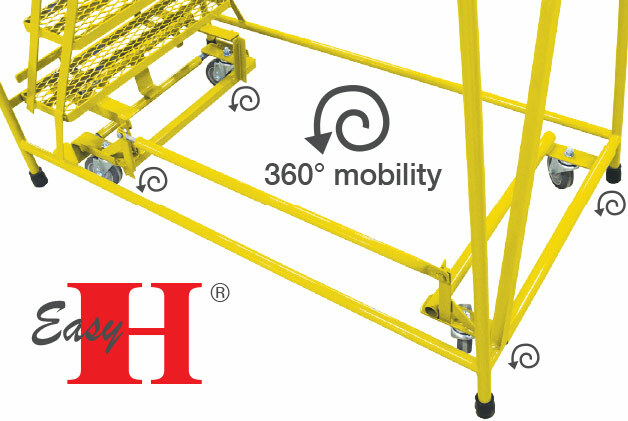 Series 1200 ladders meet applicable OSHA and ANSI standards.